Solar panels are a great way to generate your own electricity and do your bit for the environment. But before you buy and install them, you need to make sure you get the right system. 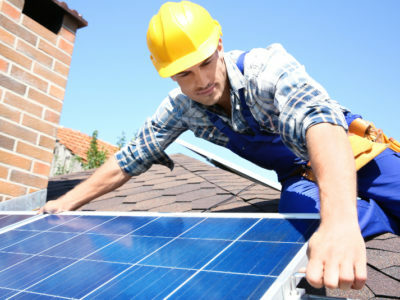 Domestic solar panel installations include 1kW, 2kW, 3kW and 4kW systems. The 4kW system is the installation that will generate the most electricity and save you the most money. But is it the right solar panel system for your roof? To help you decide, we’ve made a list of the 4kW system’s pros and cons. A top benefit of solar panels is that they generate free electricity. Sunlight is free, so the electricity that you can generate from it is also free. The more solar panels you have, the more free electricity you can generate. So if you want to generate as much free power as possible, it’s a good plan to install a 4kW system. 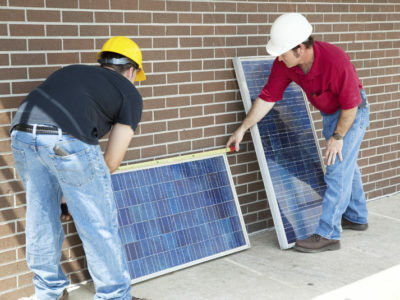 Another advantage to solar panels is that using them can help you to reduce your carbon emissions. The production of most mains electricity releases carbon dioxide into the atmosphere. But the generation of solar power doesn’t. So by using solar power instead of electricity from the grid, you’re cutting your carbon emissions. Generating power through solar panels can also lower your electricity bill. This is because you use the free solar power you generate instead of electricity bought from your electricity supplier. So having a solar power system lowers how much electricity you need to buy and cuts your electricity bill. A downside to the 4kW solar panel system is that it’s the most expensive standard domestic system. So if you don’t have a big budget for your solar panels, the 4kW system is probably not your best option. The 4kW system also takes up a lot of roof space. It should take up approximately 28m² of roof surface, so it’s only really suitable for larger homes. 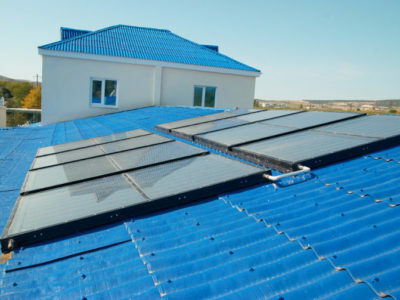 So there are both advantages and disadvantages to the 4kW solar panel system. If you want to install one and are looking for a professional to do it, we can help. Fill in our online form and we’ll put you in contact with up to 4 installers in your local area. Or to find out more about other solar panel systems, see our information on 1kW, 2kW and 3kW systems. Do I need planning permission for solar thermal panels?